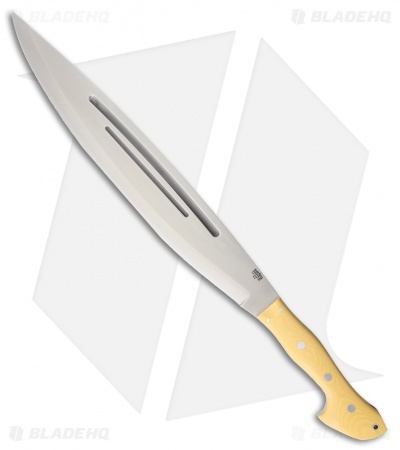 This Barong knife features an Antique Ivory Canvas Micarta handle and an A-2 tool steel blade. 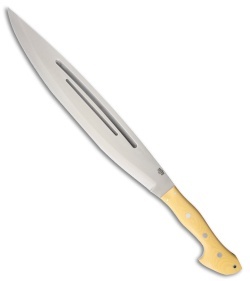 The Bark River Barong is modeled after a common cutting tool in Southeast Asia. Its handle is a Jody Samson custom design that has been paired with a traditional Barong blade. Easy to use and weighing in at 2 pounds, the Barong makes an excellent bushcraft knife. 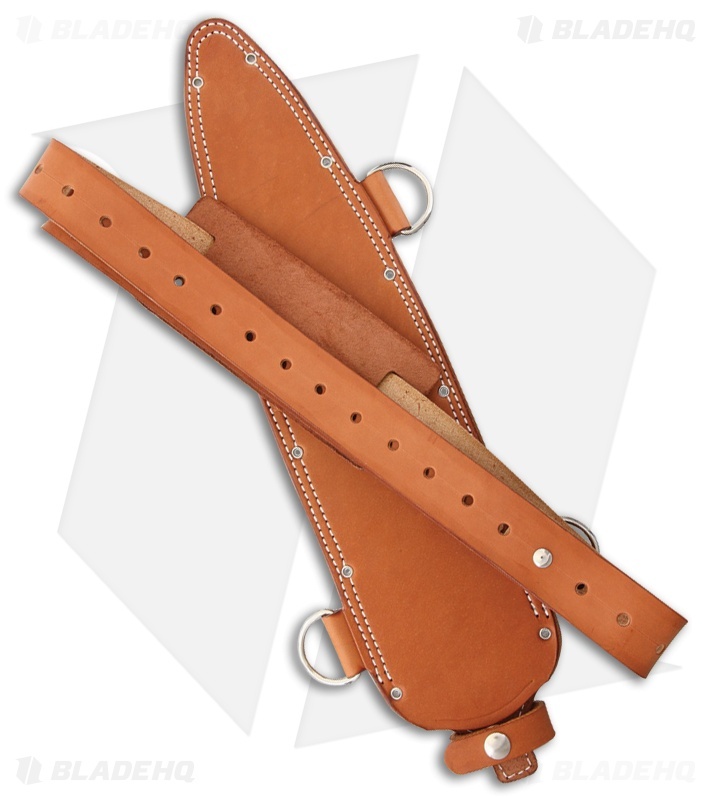 Includes a leather sheath with a shoulder carry baldric.